Timelapse video of Fjalls worked through the winter! The camera managed this on four lithium AA batteries. 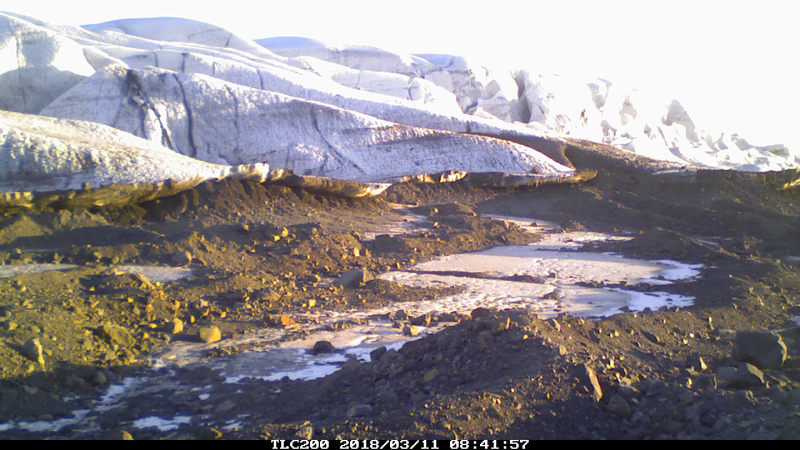 Here you can see the recently exposed foreland and its moraines. 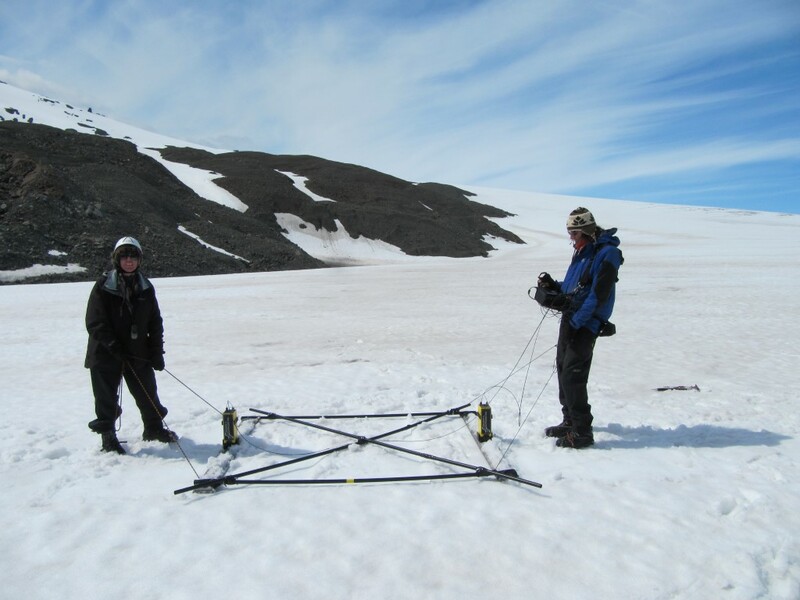 In October Kirk and Phil went for a quick trip to swap out the Rockblock units and reset the base station at Fjalls. In October we swapped the Rockblocks to v3 and reset the base station’s fixed location. View from Fjalls base station. The rover can be seen just above and to the left of the antenna. 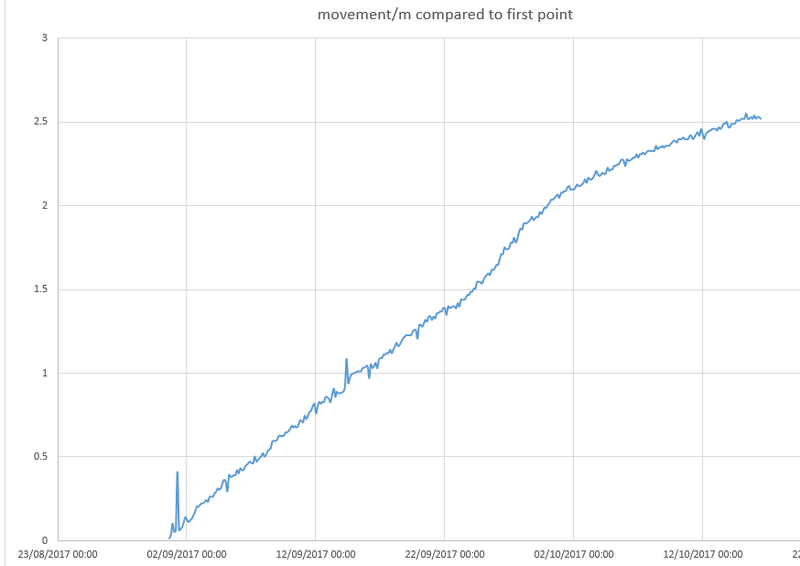 Breida movement from the first point as detected in October. This shows the system is working well! 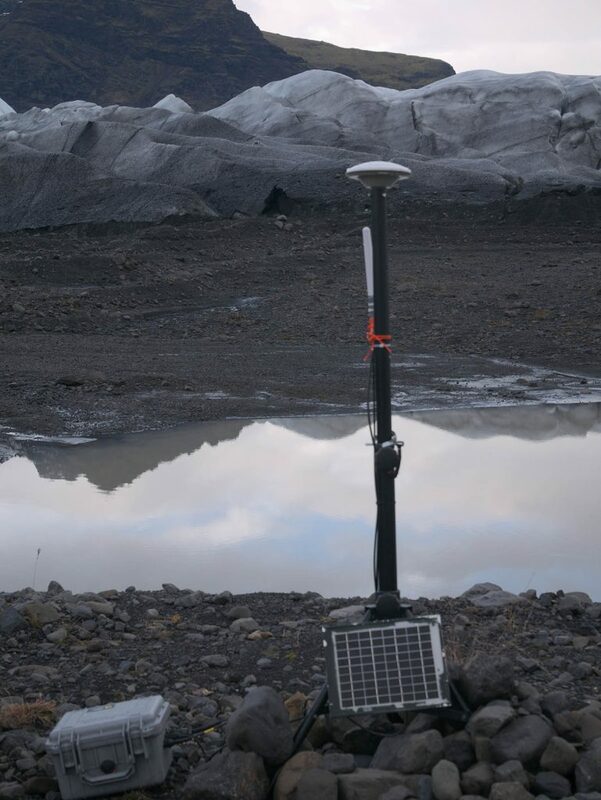 We installed a Brinno timelapse camera looking towards the glacier margin. 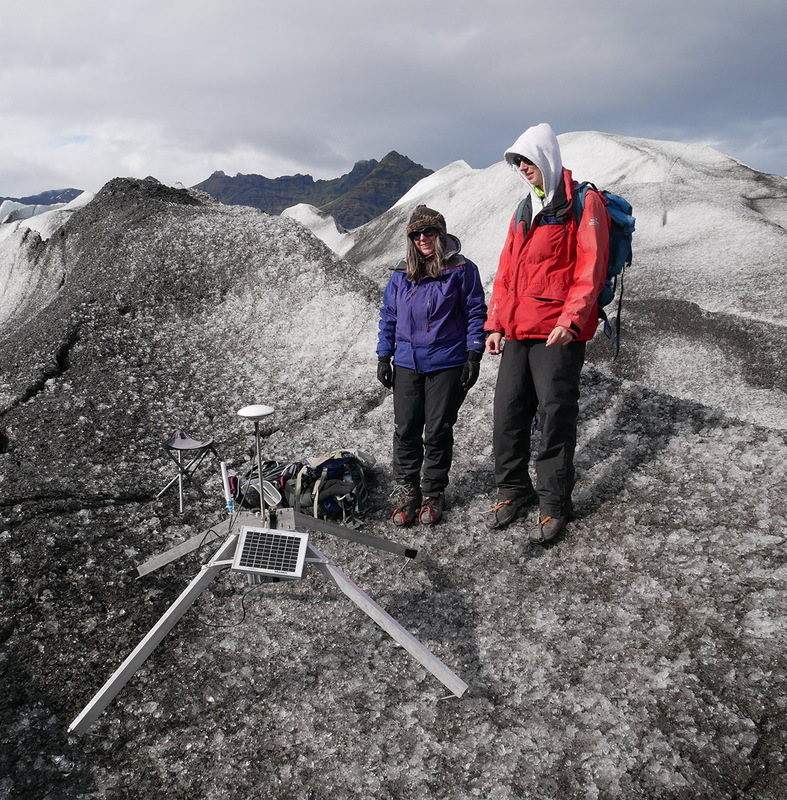 Today we set up two dGPS units to measure the speed of some of Fjallsjökull glacier. We chose an area of ice which is clearly moving forward towards the lake. 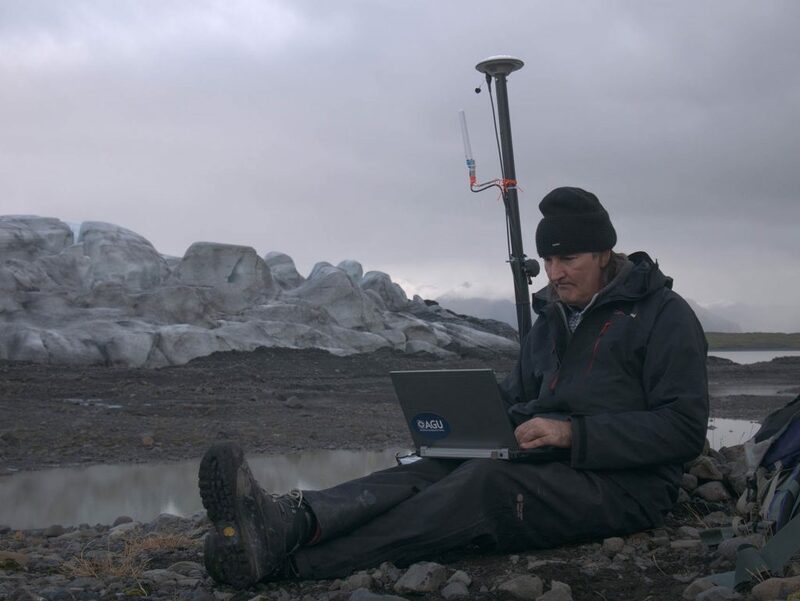 The photo above shows a “quadpod” supporting the GPS units – which are an adaptation of those made by Matthew Roberts of the Icelandic met-office. The idea is to be strong enough to cope with winter and cast few shadows (which cause ice to grow). The system is currently measuring its position every 3hrs to an accuracy of about 2cm – using signals from the base station to help it. 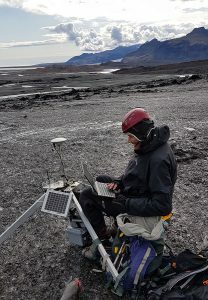 the dGPS base station installed on a moraine close to the Fjallsjokull glacier. 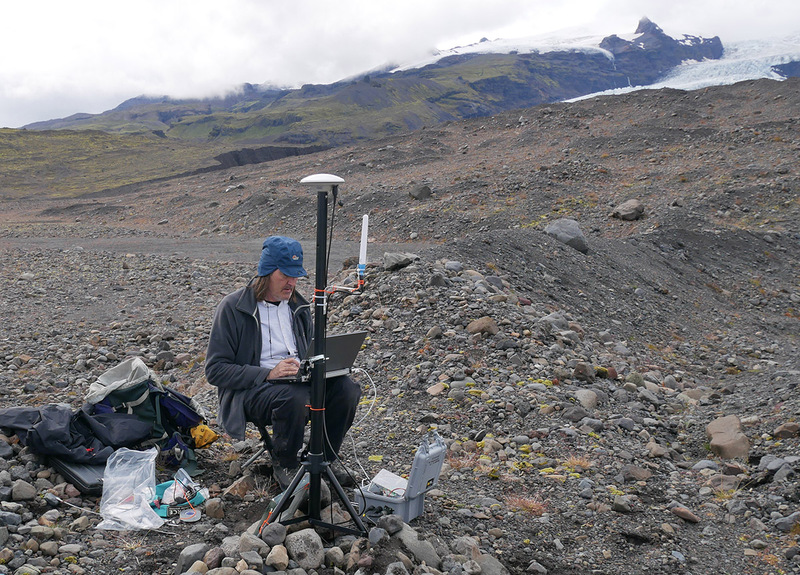 We used speaker stands burried in rocks to support the GPS antenna (top) and hold its 2.4GHz radio antenna (white stick). Shortly after this photo I accidentally kicked sand into the laptop keyboard – so it was not so easy to use after that! View of Fjallsjokull with our deployement being almost in the middle of this photo. 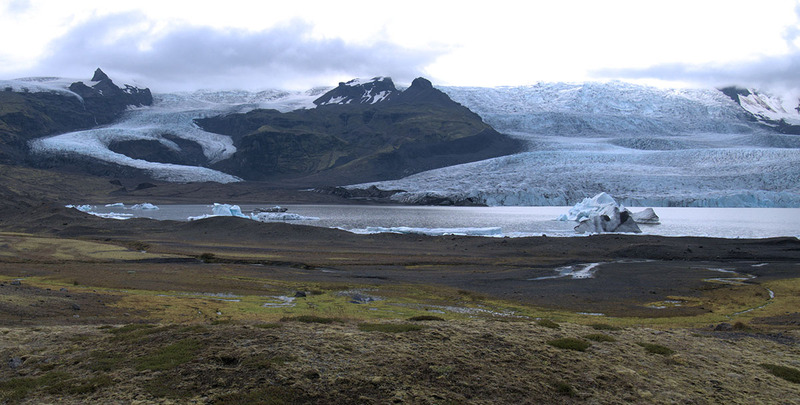 We had a look around three glaciers on our first day in Iceland in 2017 – to check for access. 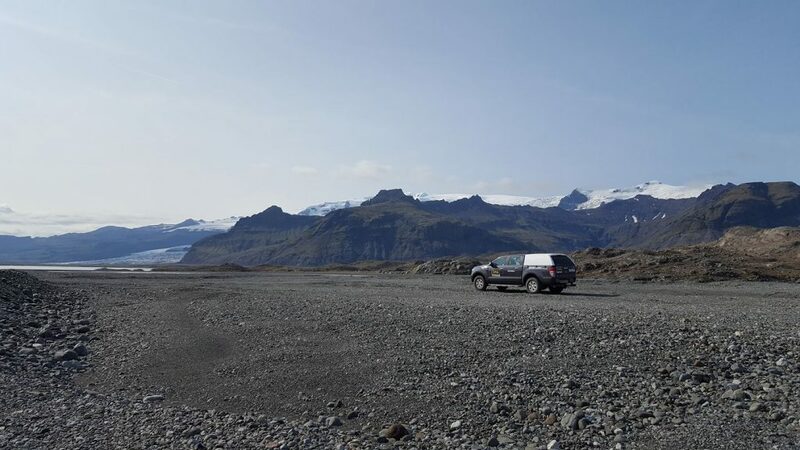 Here we are on the massive sandur of Breiðamerkurjökull. 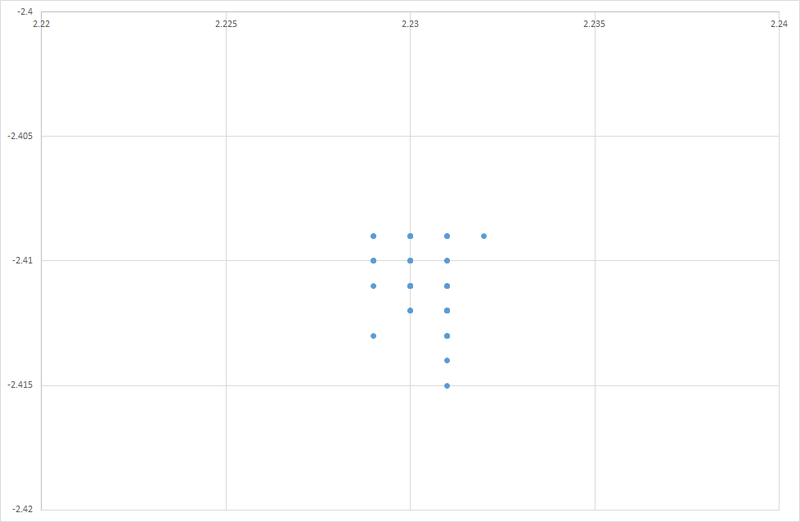 These new dGPS units seem to be accurate to around 2cm as shown in our test. This is for a close baseline (and at the moment doesn’t use GLONASS). Testing the Piksi Multi from Swift Navigation. North/East relative position of rover – in a 96s test in an open space. 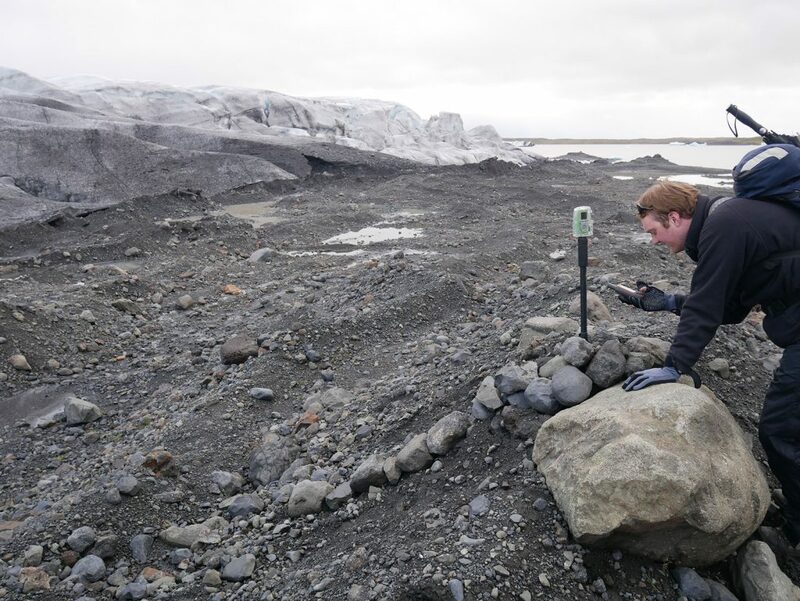 The readings are quoted as accurate to 0.023m H 0.037m V.
This is a GPS tracker we quickly built as a test of tracking icebergs – it uses Satellite (Iridium) short text messages to send its location to us every 12hrs. Inside is a large lithium battery pack. 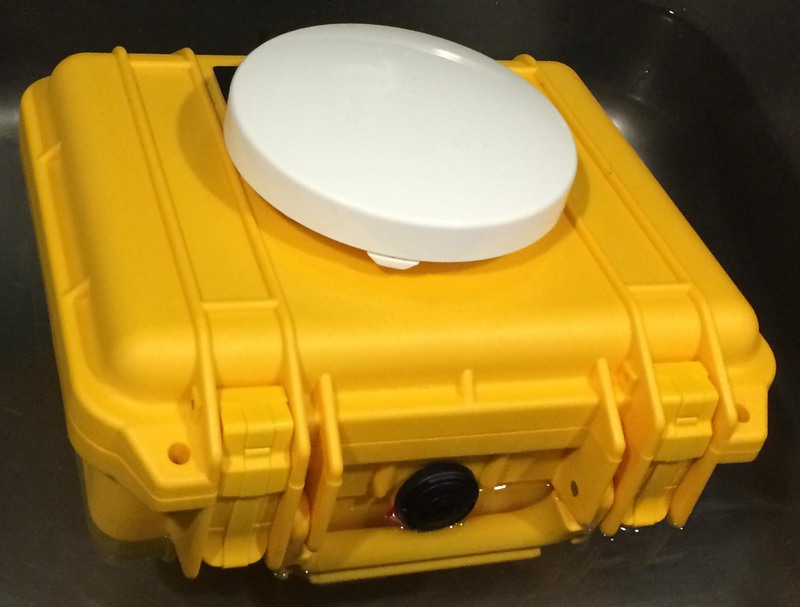 The photo below shows a water test in the sink – just in case it ends up in the sea. We used a unit from YB Tracking. More info later! 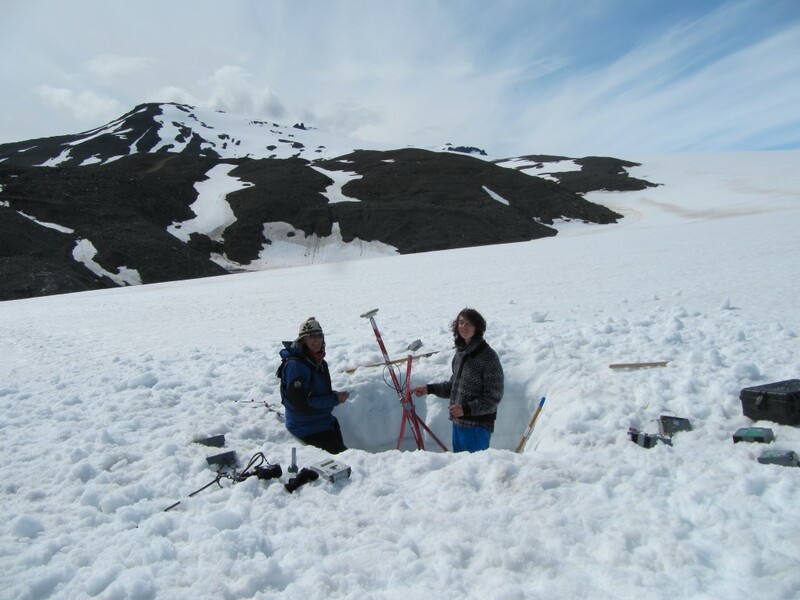 In summer 2014 we went to collect the dGPS gear – but found most of it buried in old snow from the winter. 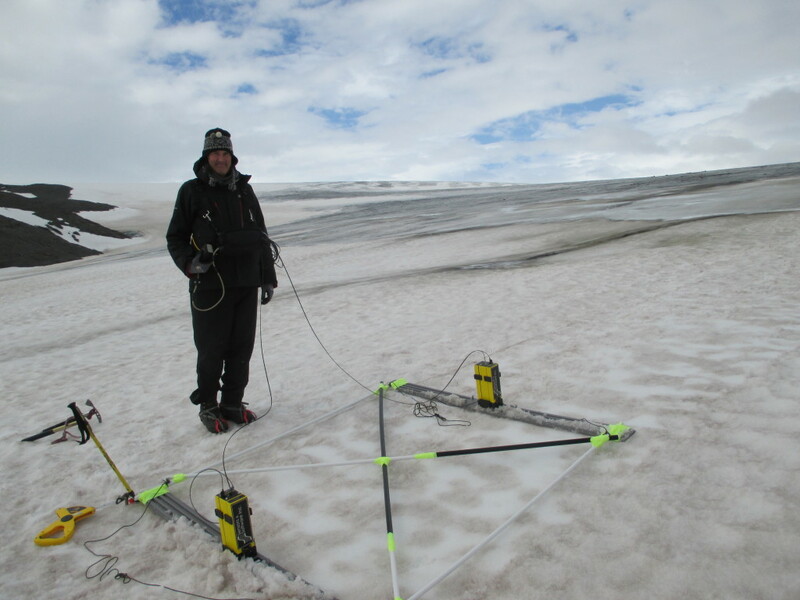 We also did an annual survey of the ice depth with the new ground penetrating radar.